A Ford Mustang GT has been transformed into a German police car at the Essen Motor Show. Every year at the automotive event, a tuner showcases a custom police car to promote the safe vehicle modification through Tune It! Safe! organization. This year the Wolf Racing tuning house had chosen a Ford Mustang for the transformation job. The Ford Mustang is presently the bestselling sports car in Germany. This is why the American car has been chosen for the project, over the local sports cars. The sixth-generation Ford Mustang comes painted in silver colour and it dons bright blue decals. Also, the car features ‘Polizei’ livery. 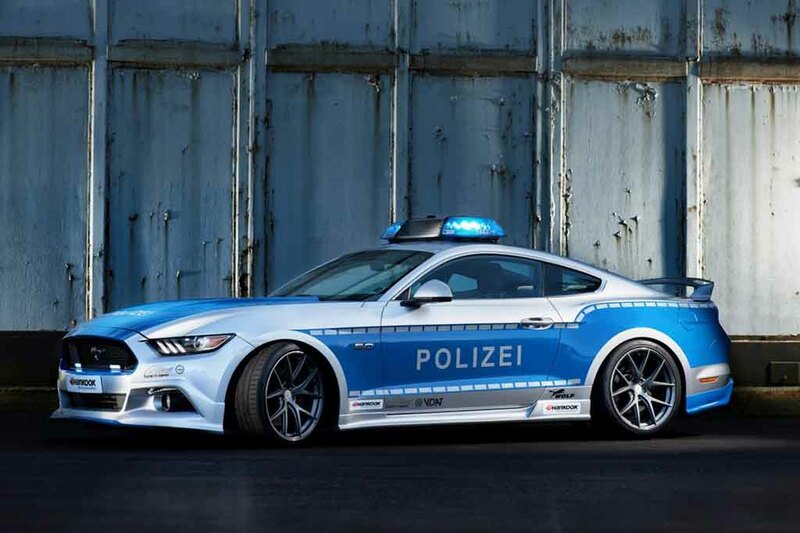 Apart from the police themed colour scheme and special livery, the Mustang also comes fitted with new body kits. It runs on black alloy wheels combined with ultra-low-profile tyres. On the roof blue coloured police emergency light has been fitted to give it a more authentic look. 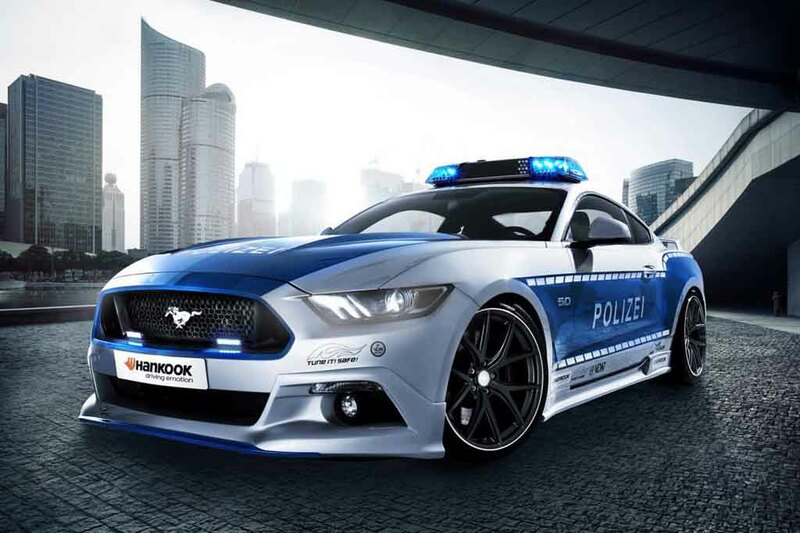 To promote safe vehicle tuning, this particular Ford Mustang police car will be displayed at various car shows across Germany for next 12 months. The modified Mustang GT takes power from a 5.0-litre V8 engine, which generates 448 hp of peak power. Current generation Ford Mustang has achieved success in several markets across the world. Introduction of a Right Hand Drive (RHD) system can be recognized behind this success. In UK, the car has received popularity in very short span. In India too, Ford has finally launched the Mustang in July this year. Here it is available only in GT variant, priced at Rs. 65 lakh (ex-showroom, New Delhi). Within 15 days post launch, the first batch of Mustang GT was sold in the country. It takes power from a 5.0-litre V8 engine under the hood, paired with a 6-speed automatic transmission with paddle shifters. 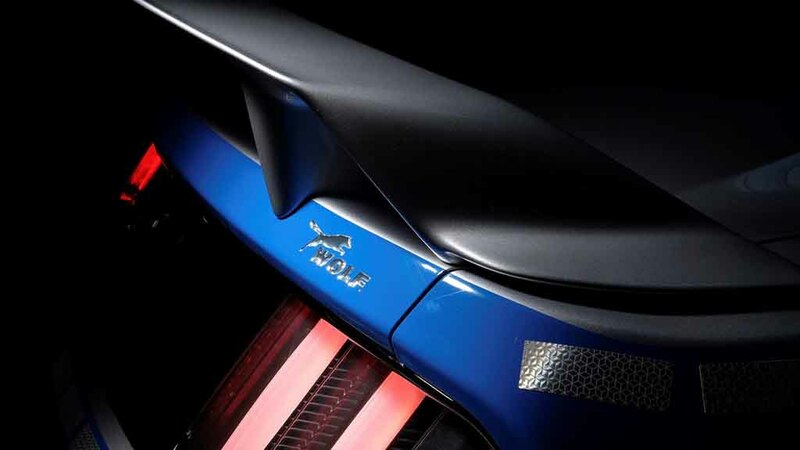 The engine churns out 400 hp of peak power and 515 Nm of peak torque.